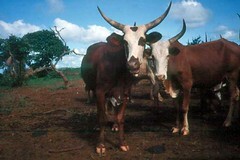 Smaller than the Adamawa with less muscling; the hump is pyramid-shaped and the horns are long and thin; often white faced, coat colour is deep red, with white throat and bottom line (Felius, 1995). Maintained by the Fulani people of the Banyo region of Adamawa in Cameroon and neighbouring north-eastern Nigeria. Appear to have evolved from a mixture of Adamawa and Red Bororo. 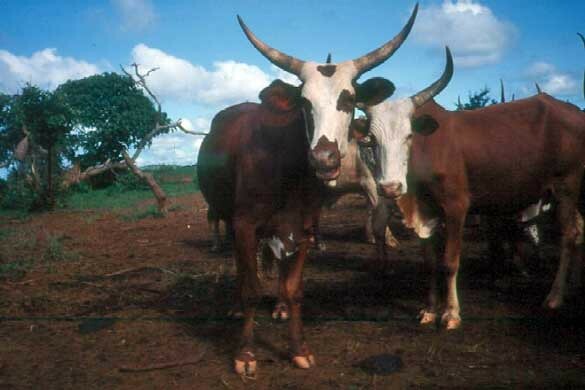 The name Pul-MÃ‚Â’Bor Bor is used for F1 crossbred Adamawa x Red Bororo cattle (Felius, 1995).